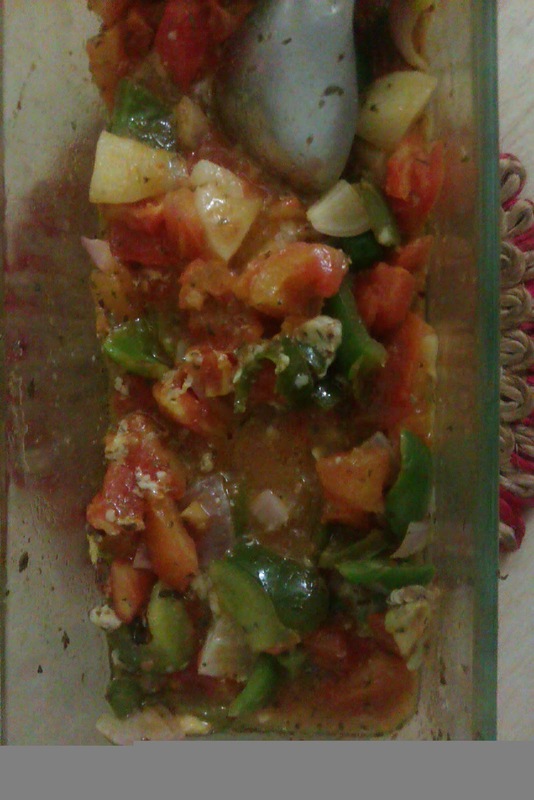 In a medium micro safe dish, place tomatoes, potato, garlic, onion and green peppers. Drizzle with olive oil. Add salt, cheese and oregano. Mix well to combine. Microwave it for 6- 8 minutes, stirring in between. The tomatoes will turn a darker red and the raw smell will disappear. To serve, transfer to a serving bowl and add lime juice and coriander. Serve! This is rushing to Vardhini's Dish it Out hosted at Taste Junction. This is also going to Microwave Easy Cooking at My Edibles, which is Srivalli's brainchild.